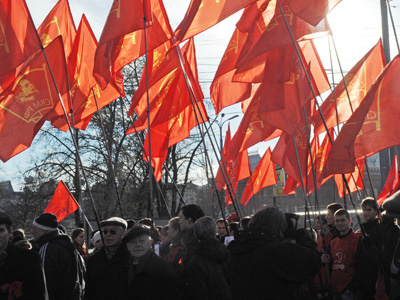 Communists have taken to the streets all across Russia to protest against the outcome of the presidential elections, WTO membership and “NATO bases” in Russia. The biggest rally has unfolded on Pushkin Square in the Russian capital. The event drew about 1,500 people, reports say. The crowd was protesting what they call “NATO military bases” in the Russian city of Ulyanovsk and demanded political reforms. They also slated Russian past presidential elections as “unfair” and demanded that the head of the Russian Central Election Committee, Vladimir Churov, resign. To highlight their cause, the communist activists sent dozens of balloons in the sky. 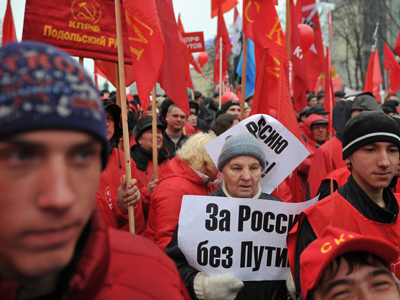 Russia’s Communist Party pledged to take over 2 million people on streets on Saturday in dozens Russian cities including Moscow, Irkutsk, Kazan, Nizhny Novgorod and others. In the northeastern Russian city of Magadan, communists gathered a small group repeating demands against deployment of what they call “NATO bases” in Ulyanovsk. The call was supported by another rally, in the Siberian city of Irkutsk. The protesters, including communists and nationalists, also demanded fair elections in Russia and spoke against Russian membership in the World Trade Organization. Meanwhile, seven activists were arrested for trying to organize an unsanctioned rally in the city of Ivanovo, some 300km northeast of Moscow. All of them were later released. 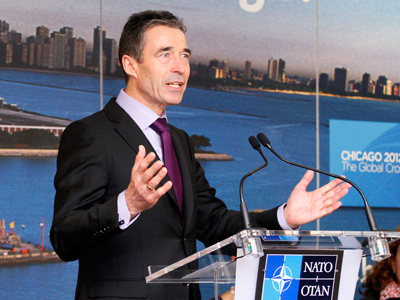 Russian and American authorities are negotiating the possibility of a NATO air transit point in Ulyanovsk. Russia’s Deputy foreign minister stressed earlier that there is no talk of setting up any kind of NATO military base in Ulyanovsk, only a logistics facility. 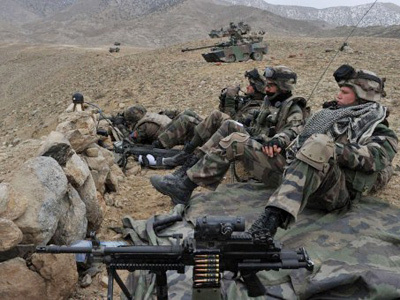 No NATO troops or other personnel will be present in Russia, the Foreign Ministry announced. According to the governor of the Ulyanovsk Region, Sergey Morozov, all cargo coming from Afghanistan to NATO countries and vice-versa will be transported by Russian air carriers. The cargo will be carefully checked by Russian customs for the presence of drugs. The city of Ulyanovsk bears a special significance to communists, being the birthplace of the Soviet communist icon Vladimir Lenin. 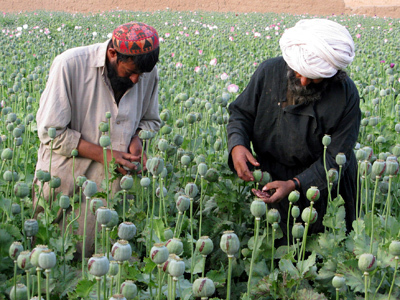 They say that letting NATO in would come as a “betrayal” and furthermore will bring more Afghan drugs into Russia.